I bought this excellent LOVE poster from the Etsy shop, Made By Girl, last year. I’m a sucker for graphic prints and it was a steal, on sale for ten bucks. I chose this color – “Watermelon” – because it’s a cheerful pop of pink on our neutral walls; plus, I love it’s summery name. 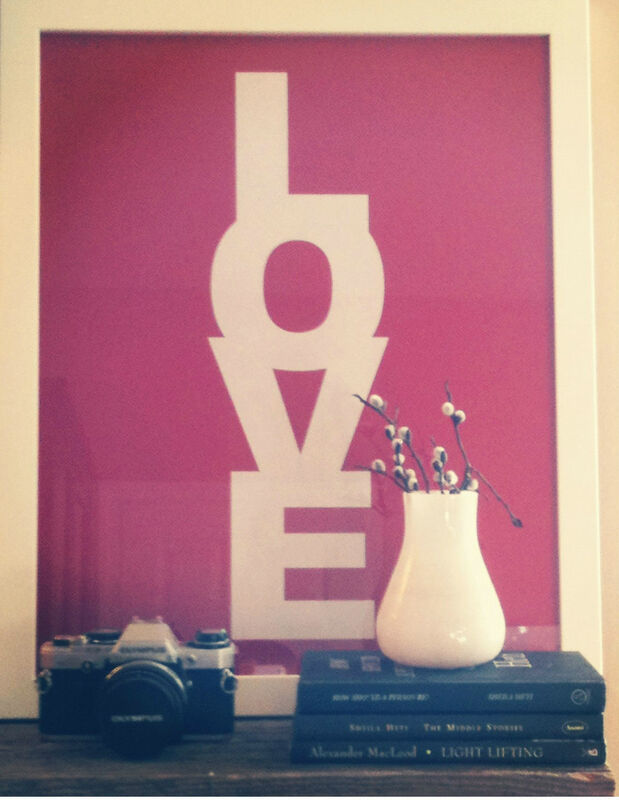 The poster is a sweet reminder that, while our apartment might be teensy, it’s filled with l-o-v-e. This entry was posted in Style and tagged all you need is love, arts, etsy, etsy love poster, love, love is all you need, love poster, made by girl, made by girl etsy, made by girl love poster, photography, shopping, style by lovewritenow. Bookmark the permalink. This is so great! I love prints too and just bought one for the living room that says, “Welcome to our living room, and let the living Begin.” 😉 It’s a tiny room, but full of life!